Direction Istanbul | Cosa Mi Metto??? The luggages are closed, the passports are in the bag and the heart is full of expectations. Destination Istanbul. Metropolis where East and West, past and present, tradition and trend come together and become one. 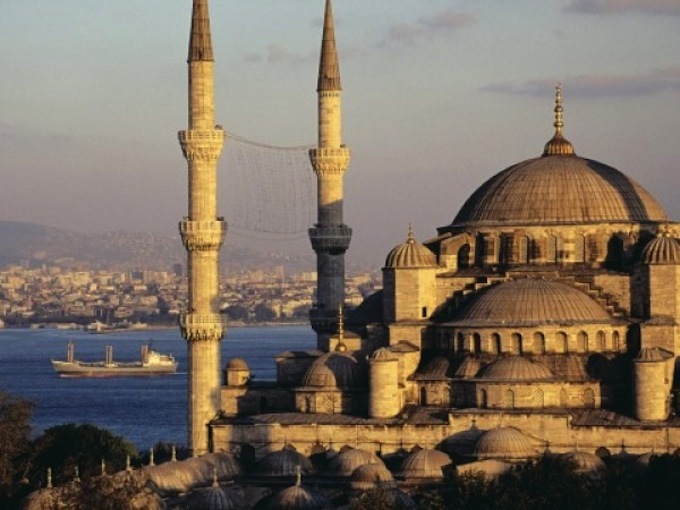 My eyes can't wait to land on the magical skyline of domes, minarets, modern buildings and Ottoman villas together. As always your tips and advices are really precious to me! On my return I promise lots of pictures. The impatients can peek in real time my experience on Cosa mi metto??? facebook page, on twitter and expecially on instagram @Cosa_mi_metto . And don't worry about my absence, in these days there will always be outfit and updates on my blog. La valigia chiusa, il passaporto in borsa e il cuore carico di aspettative. Destinazione Istanbul. Metropoli in cui l'oriente e l'occidente, passato e presente, tradizione e tendenza si incontrano, e si fondono. I miei occhi non vedono l'ora di posarsi sul magico skyline di cupole, minareti, edifici moderni e ville ottomane insieme. Come sempre i vostri consigli e suggerimenti sono davvero preziosi per me! Al mio ritorno vi prometto un sacco di foto. Le più impazienti possono cominciare a sbirciare in tempo reale la mia esperienza sulla pagina facebook di Cosa mi metto?? ?, su twitter e soprattutto su instagram @Cosa_mi_metto . Non preoccupatevi for my absence, in questi giorni non mancheranno outfit e aggiornamenti sul blog! Today I'm wearing a black and white look but with a special touch due to leather pants and an amazing color touch with CARMINE peep toes. DOn't you like it? Divertiti e fai tante foto!! Fabrizizia Istanbul e' meravigliosa io ci sono stato per lavoro una cena al Sunset sul Bosforo con vista da sogno te la consiglio. Ti seguiremo! Buon viaggio. A presto. ISTANBUL IS AMAZING!! !HOPE YOU HAVE A GREAT TRIP!!!! How pretty. I really want to visit some day. I love Istanbul. Make sure you go to the Blue Mosque, the Grand Bazaar & also dinner at the Four Seasons hotel is nice - it's an old prison/fortress. Also make sure you dine overlooking the river. Bellissima Instanbul!!! Buon viaggio cara!!! que bonito es Estambul! pasarlo genial! I would love to visit Turkey one day too! Bellissima Istanbul..una città magica...ci sono stata l'anno scorso! Great Pictures, my dear! I love them!!! How are we doing with Grazia? :) Hope you're winning! I miss Turkey, have lots of fun there Fabrizia ! 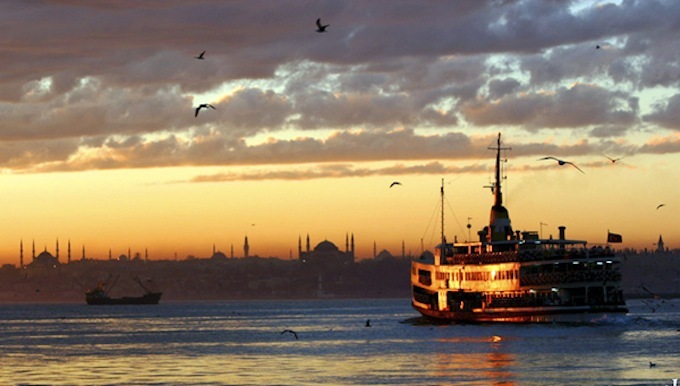 Never been to Istanbul... but the pictures look really interesting... have a wonderful time! Wow !!! Buon viaggio e fai taaaaaaaaaaaaaaaaaaaaaaaaaaaaaaaaaaaaaaaaante foto !!! Bellissima città, ci sono stata!!! Wow *__* divertitii!! un bacione cara!! Que bonito que envidia me das yo tambien me iria ahora!! Instanbul è una città speciale. La conosco, ci sono stata, è bellissima!! Have a great stay there. I've always wanted to travel to Istanbul but I did not have the chance yet. Grand Bazaar is waiting for me for sure. Wonderful pictures! Have a nice trip and happy holidays! Buon viaggio e buon divertimento, aspetto di vedere le foto, ciao e buon capodanno, Angelo. Buon Viaggio e divertiti anche per noi Fabrizia! Thanks for sharing ! Can't wait to see the pictures ! my home town! you would definitely find more than expectations! 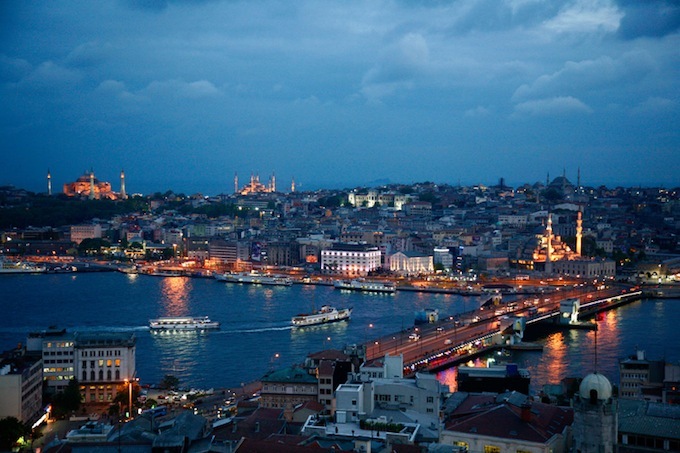 try 360 Istanbul for dinner or Lacivert (fish restaurant). They have delicious menu! First of all have fun here and if you need anything you can e-mail me whenever you want. You should definetly go to İstinye Park (mall), Nişantaşı(street) and Bağdat Street for shopping! Also in Taksim, you should go to Beyoğlu İş Merkezi. You can found there H&M, Topshop and Asos etc. brands' in very cheap price. Most of their products made in here so you can find only 5-10-20 dolars tshirts, coats and more! é la prima volta che vedo il tuo blog che sono contentissima! لا تضحي بالمساعدة المهنية للحفاظ على انخفاض تكاليف النقل. تتمتع الشركات المتحركة بالخبرة والمعدات المناسبة لنقل أثقل متعلقاتك بأمان وسهولة. تكلفة خدمات النقل الخاصة بهم عبارة عن سعر بسيط تدفعه مقابل راحتك وسلامتك.